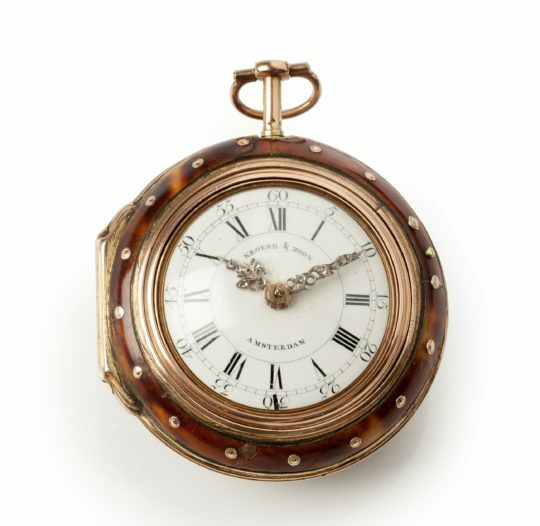 The movement has a quarter-striking on request, which indicates the quarters first followed by the hours on a bell. It is activated by pushing the pendant down. The movement is protected by a silver dust cover, which is also signed. 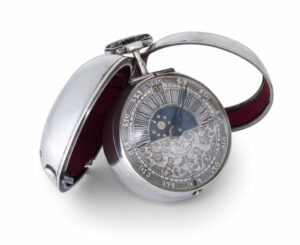 The enamel dial has a Roman chapter ring with Arabic five-minute and minute divisions. 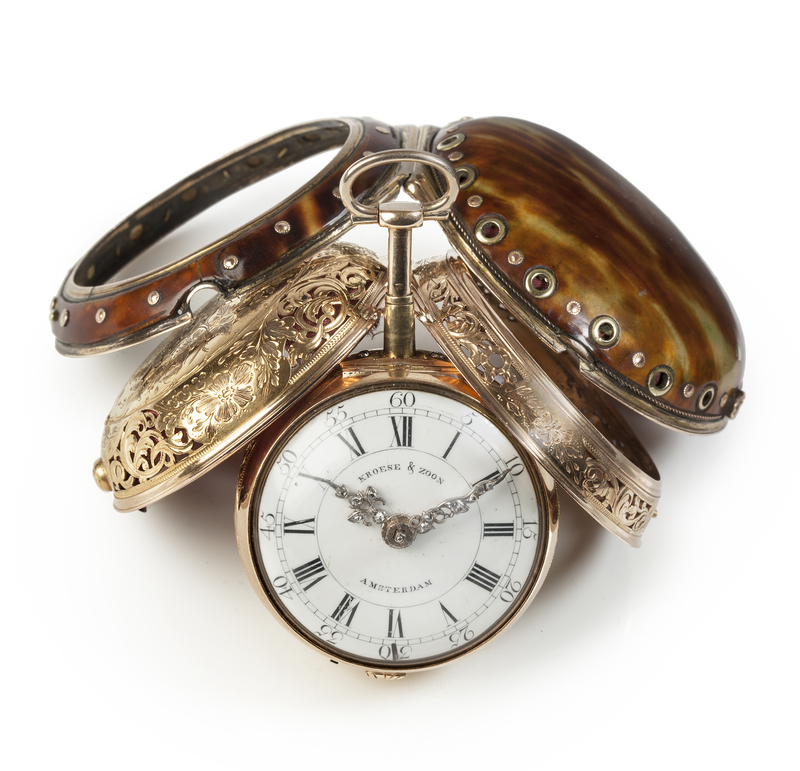 The time is indicated by a fine pair of unusual pierced steel hands embellished by diamonds. The dial is signed above and below the middle: Kroese & Zoon Amsterdam. 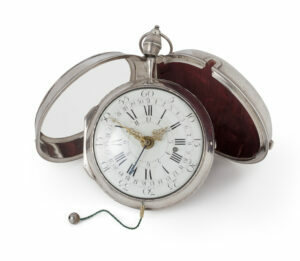 It is protected by a convex glass set in a golden bezel. 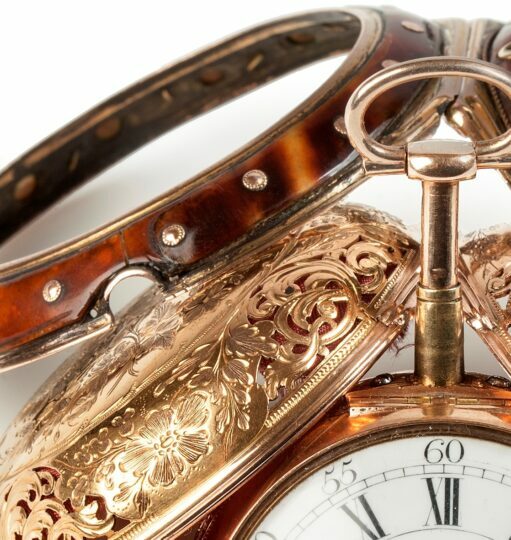 The triple case of this pocket watch is consists of a golden pierced and engraved inner case, which contains the bell on the inside and fits into a second golden case, which is also elaborately pierced and engraved, depicting flowers. 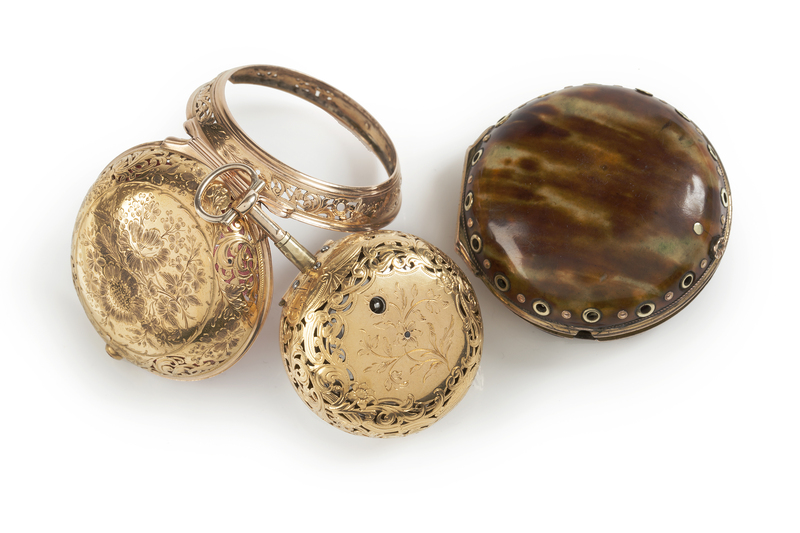 These case combined can be placed into a tortoise-shell covered outer case with sound apertures with golden mounts. 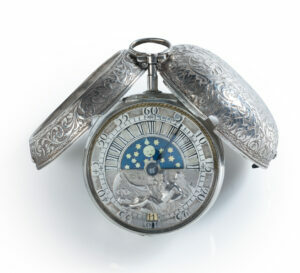 E. Morpurgo, .Nederlandse klokken- en horlogemakers vanaf 1300, Amsterdam 1970, p 74. 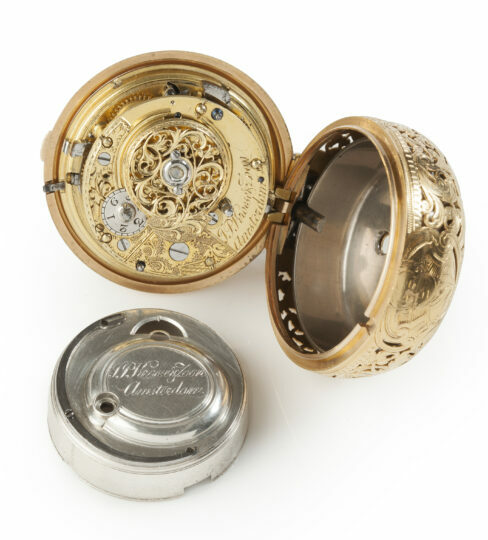 Johannes Pieter Kroese (1702-1778) was a master clockmaker, orginally from Wuppertal in Germany and active in the Kalverstraat in Amsterdam from 1729 onwards. On May 6, 1755 the shop moved in the Kalverstraat to a site between the Monastery and the Mint, to be precise between the St. Jorissteeg and the Olieslagersteeg, opposite across from the Monastery. He worked together with his son Pieter Kroese. After 1775 his son continued the business under his own name.